My literary life wearing all the Youth Services hats in the program room, on desk, and out in the world. You will need a 10' parachute (a bigger parachute or several little parachutes would also work), scarves, bean bags or egg shakers. The concepts are presented by topic. You can share each element in whatever order works best for you and your patrons. Story Song - Big Plop by Mr. Eric and Mr. Michael from Rockin' Red. 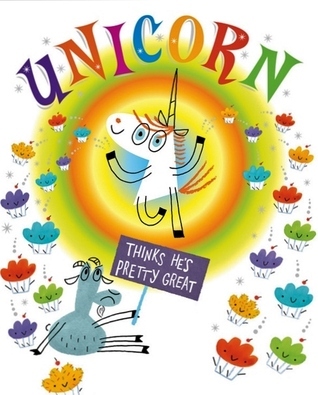 I had never heard this song before but it is a really fun alternative to Going On a Bear Hunt. We used the scarves to make the experience more vibrant but its a lot of fun without the scarves too. Song – Fast and Slow by Laurie Berkner from The Best of the Laurie Berkner Band - The song has an alternating rhythm that will encourage the kids go change their speed but it only works if they pay attention. Popcorn Game with Scarves - Place the scarves in the middle of the parachute. The parachute should be laying on the floor. Pretend the scarves are popcorn. Have the child crouch and hold the parachute edge. Count 1, 2 ,3 and yell popcorn. Jump up to throw the scarves in the air. This works with other soft toys or under-inflated balls. Song - The Freeze by Greg and Steve from Kids in Motion - This works well as a free dance or you can use the scarves or beanbags. It's a pretty flexible song. Sleeping Bag Song by Carole Peterson Stephenson from H.U.M. - Highly Usable Music - Here the tune so you can sing it yourself and see lyrics on Macaroni Soup. You can use with a large enough parachute by sitting with your legs under the fabric like it is your sleeping bag. Rhyme - Ring Around the Rosie - Because who doesn't like falling down over and over? For some reason they always think this is hilarious and most of the adults in attendance know the words and tune. Rhyme - All Around the Mulberry Bush - When you say 'Pop goes the weasel' you can pop up the parachute. Think about using a plush toy to play the part of the weasel. Criss-Cross Game - This game depends a lot how your group does at following directions. 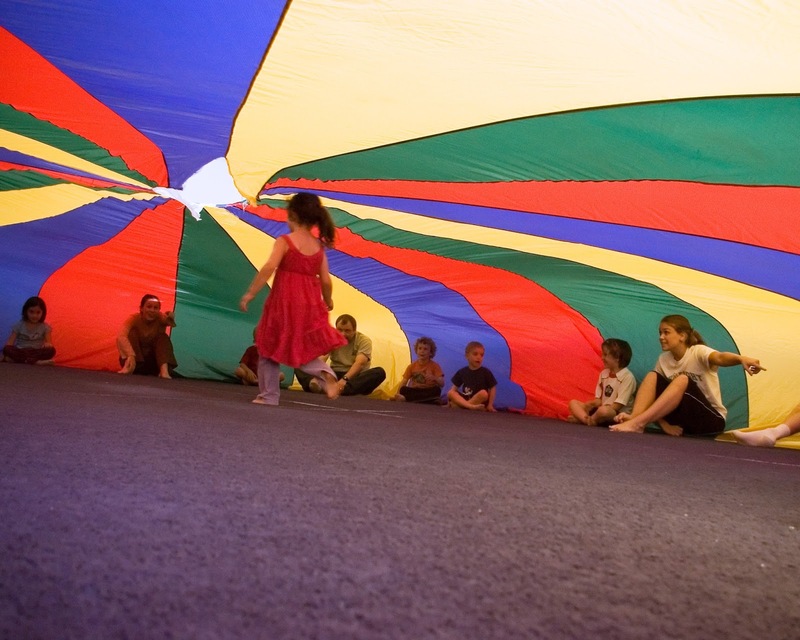 With everyone standing and the parachute in hand, have the kids lift the parachute off the floor. When the parachute is overhead call out a color and have those children change places by running under the parachute. If your kids are squirrelly use a partner adult, then the parachute is lifted tap two children only to participate each time. 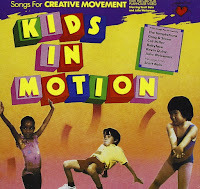 Bean Bag Boogie 1 by Greg and Steve from Kids in Motion - The same cd has a Bean Bag Boogie 2 if you need more content. Then you say goodbye to the kids and you nap on the parachute.